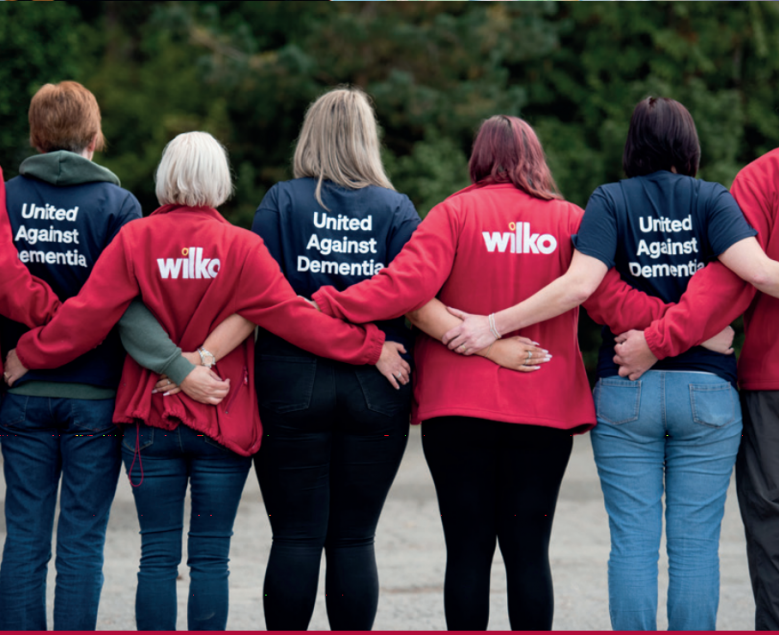 As part of our partnership with Alzheimer’s Society, we’ve been looking at practical ways that we can help people living with dementia in our communities. So to mark the start of National Gardening Week on the 30th April, we wanted to share a few tips to help everybody get outside and enjoy the benefits of gardening. There are currently 850,000 people in the UK living with dementia and this number is set to rise to 1 million by 2025. From speaking to Alzheimer’s Society, we’ve learnt that gardening is a great activity for people who have dementia, and there are some great steps that we can take to help to make gardens and gardening more dementia-friendly. It’s always satisfying getting your garden looking great, but it can also bring mental and physical benefits for people living with dementia. Research shows activities which provide sensory input can spark positive emotions which can be lost as dementia progresses. Gardening engages the senses, and can help people with dementia rediscover their world. 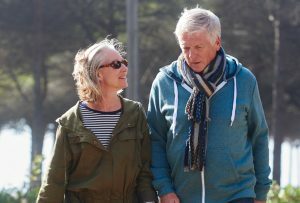 Many people can still access their long-term memories even as the disease progresses, so getting out in the garden helps them connect to those memories while maintaining skills they already have, reminding them of healthier, happier times. 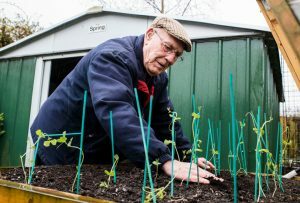 Gardening with others brings a comforting sense of community which can help with the isolation that dementia often brings. It also allows them to experience success, creating a sense of purpose and building confidence, which has likely taken a knock since their diagnosis. Not to mention that gardening is great exercise for the mind and body which in turn helps to boost energy and improve sleep. Make it accessible – build raised beds so that gardening is more accessible and enjoyable. Container gardens work particularly well for seniors. Think differently – try to create a garden in the shape of a figure eight, as dead end gardens can cause confusion. Avoid accidents – avoid giving someone with dementia any sharp gardening tools and make sure all plants are non-toxic. Be sun safe – don’t forget sunscreen and a hat to protect your loved one, and try to garden early in the morning on hot days to avoid the strongest sun. Don’t forget – keep it fun and light-hearted! Not everyone will have the strength or mobility to get involved in gardening, but that doesn’t mean they can’t benefit from thoughtfully-designed outside spaces. There’s loads of sensory input in a garden – touching petals and leaves, smelling flowers and listening to insects and birds – which can be really beneficial for people with dementia. If someone you love is living with dementia, why not take a look at this handy plant guide? Plants which attract wildlife, including butterflies, bees and birds, which are great to watch as well as being environmentally friendly. These include sedum spectabile, lavender, catmint, yarrow, borage, buddleia and comfrey. Plants which are soft to the touch such as lamb’s ears and bunny tails provide a great sensory experience, as well as highly-scented plants like roses, lavender, rosemary and mint. Try to plant these in accessible locations where people will brush past. Edible plants and veg also provide fun activities for people living with dementia and their families. Great plants for this include tomatoes, strawberries, herbs and elderberry, or edible flowers like violas, nasturtiums and borage. Plants which provide dappled shade to sit under and relax are also really helpful for people with dementia and are great to encourage socialising in the garden. Pergolas planted with climbers like wisteria are great for this. Old favourites jog memories of time spent outside and help take people’s minds back to healthier times. Marigolds, forget-me-nots, pansies, snapdragons and daisies all work well. 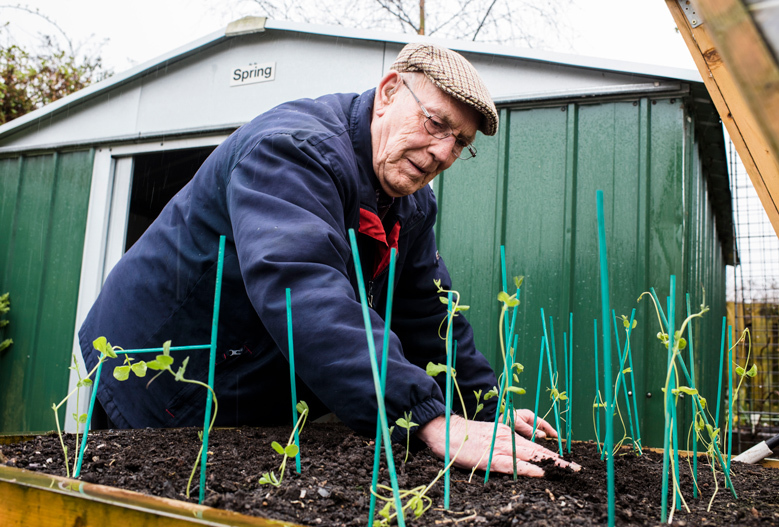 We hope we’ve given you some inspiration for ways which gardening could help your loved ones living with dementia, so you can feel more confident including them in National Gardening Week fun. If you’re looking for further information, support or advice about dementia, please visit the Alzheimer’s Society website or call their National Dementia Helpline on 0300 2221122.